PALMDALE, Calif., July 17, 2014 â For several goose bump-filled minutes today at U.S. Air Force Plant 42, it was July 17, 1989, all over again. 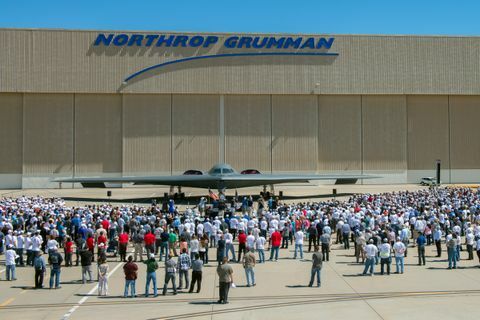 Just as they had on that historic day 25 years ago, several thousand Northrop Grumman Corporation (NYSE:NOC) employees, civic leaders and Air Force personnel stood along the company's southern fence line in Palmdale to watch a B-2 stealth bomber taxi onto Runway 25. As the tailless, bat-wing-shaped jet made its final turn and paused, its four General Electric engines began to roar. 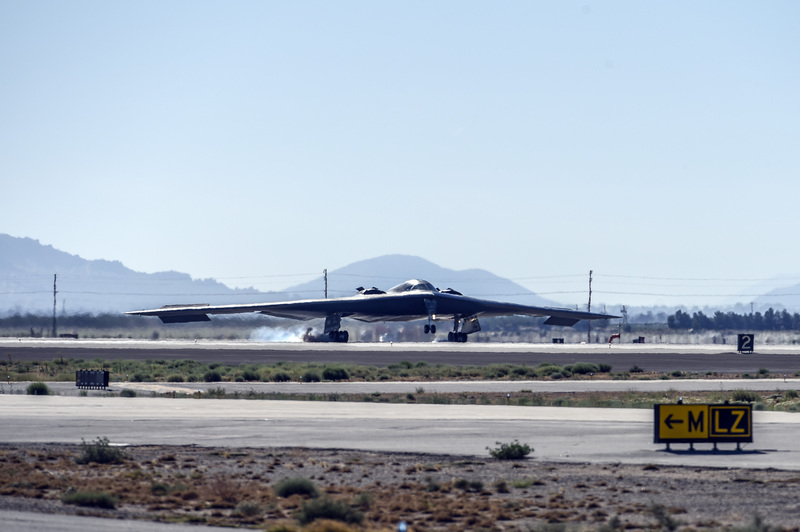 Slowly at first, then faster and faster, the B-2 thundered down the runway. As it lifted off and rose gracefully into the western morning sky, so too did the cheers of the adoring crowd, many of whom had started their careers on the B-2 program during its 30-plus-year history. Northrop Grumman is the prime contractor for the Air Force's B-2 bomber, a key component of the nation's long range strike arsenal, and one of the most survivable aircraft in the world. 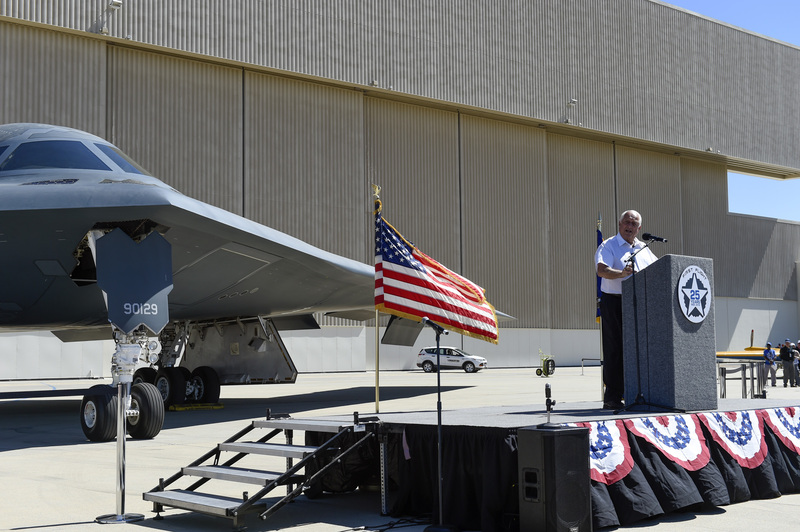 "For the past 25 years, the B-2 has been, and today continues to be, one of the most decisive and effective weapons systems for influencing our adversaries and defending America's interests around the globe," said Brig. Gen. Glen D. VanHerck, commander of the 509th Bomb Wing, Whiteman Air Force Base, Missouri. "The B-2's ability to provide strategic deterrence capabilities to our nation's leaders -- and when deterrence fails, to deliver global power options -- is a testament to the talents of those who designed and built the B-2, and to the daily sacrifices of the airmen who fly, maintain and support the fleet." 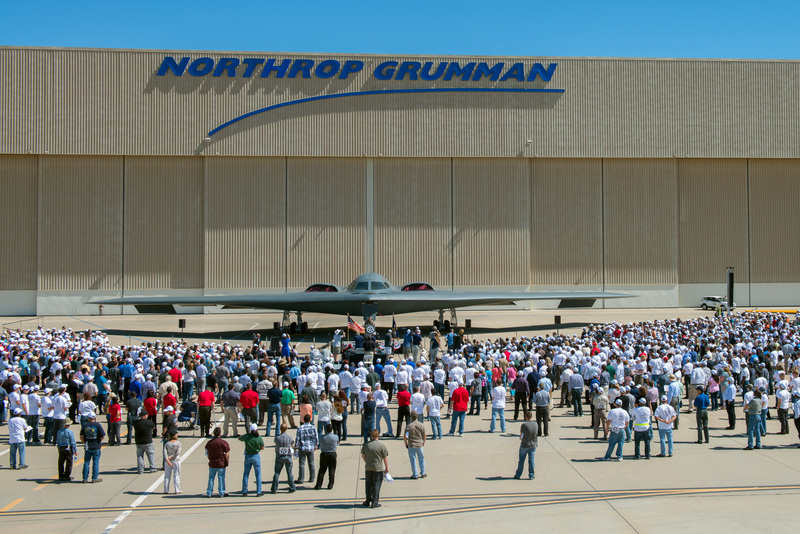 Northrop Grumman conducted its 25 th anniversary ceremony today on the tarmac near the facilities where every B-2 bomber was built and where every B-2 comes for a periodic wingtip-to-wingtip overhaul known as programmed depot maintenance. Set against the backdrop of an operational B-2, the program included remarks by former Los Angeles Dodgers manager Tommy Lasorda; Bruce Hinds, former Northrop Grumman chief B-2 test pilot, who commanded first flight; Air Force Brig. 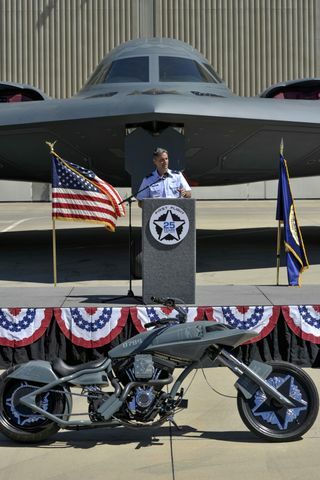 Gen. Steven L. Basham, who co-piloted the first B-2 combat mission, and Duke Dufresne, a former B-2 program manager for Northrop Grumman and currently sector vice president, Operations for its Aerospace Systems sector. "The B-2's maiden flight from Palmdale to Edwards Air Force Base lasted just over two hours, but it changed forever the tenor of long range strike and international diplomacy," said Tom Vice, corporate vice president and president, Northrop Grumman Aerospace Systems. 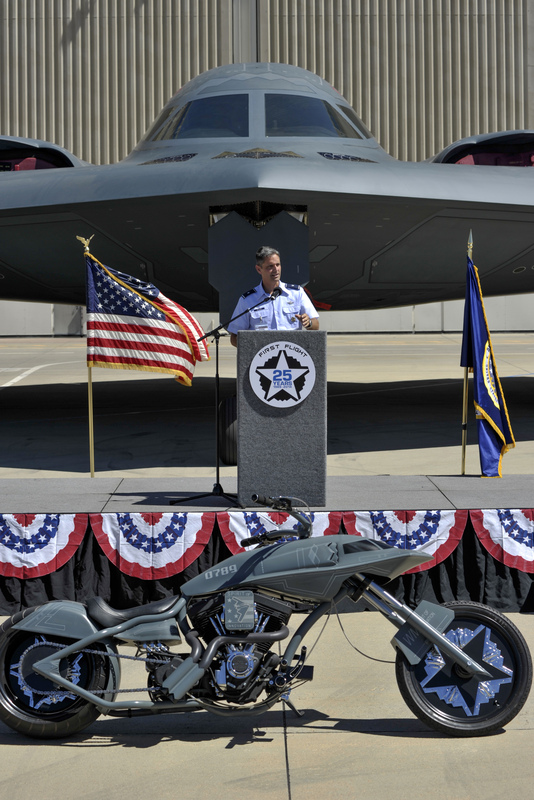 "Today, the bomber personifies Northrop Grumman's innovation and imagination, and provides an enduring symbol of the company's commitment to the brave men and women who defend our nation." Following takeoff, the B-2 pilots thrilled the audience by circling back over the Plant 42 at low altitude and performing a ceremonial "wing wave" for the crowd. The B-2 can carry both conventional and nuclear weapons. It is the only aircraft that combines stealth, long range, large payload and precision weapons delivery in a single platform. The B-2's unique capabilities allow it to penetrate an enemy's most sophisticated defenses and put at risk its most heavily defended targets. Please visit www.northropgrumman.com/B-2 for the latest news and information about Northrop Grumman's work modernizing and ensuring the availability of the B-2. Northrop Grumman is a leading global security company that provides innovative systems, products and solutions in unmanned systems, cyber, C4ISR, and logistics and modernization to government and commercial customers worldwide. Please visit www.northropgrumman.com for more information.